Live from London's Wigmore Hall. 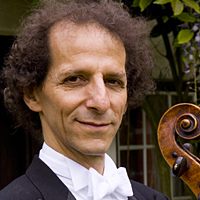 British cellist Colin Carr returns to the Wigmore Hall with pianist Thomas Sauer to perform 2 sonatas by Beethoven. He begins with a lighthearted and affectionate set of variations on an aria from Mozart's Magic Flute. Listen here.